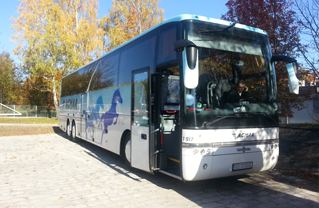 We transport people, transport goods and organize tours. We rent the vehicles with the driver. 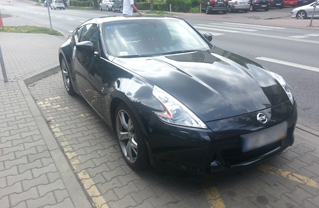 We operate throughout Poland and Europe. We have been in the transport industry for many years, constantly developing and expanding the fleet of vehicles to provide our customers with the highest level of service. 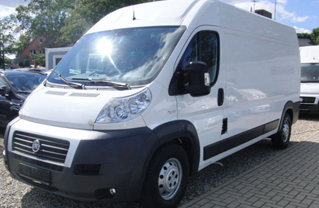 We have a fleet of safe and comfortable vehicles adapted to each type of transport: individual, group, freight. 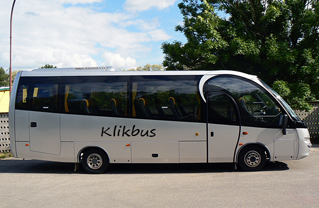 We provide transportation bus, bus, minibus or coach. YOU DESCRIBE THE OBJECT. WE ARE TALKING ABOUT THE RESOURCES! Our priority is the safety of passengers and the transport of goods. 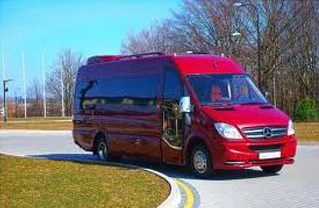 Therefore, we employ only experienced and trained drivers. We make sure that they are always rested and not overworking time. Taking care of the perfect condition of the vehicles, we regularly review them. Our buses and coaches are equipped with all major security systems such as ABS, ASR, ADAPTIVE ESP and EURO V.
Wherever you go with us, we will provide you with comfortable conditions and a pleasant journey, regardless of the season and the weather; In modern and clean vehicles equipped with air conditioning, parking heater, folding seats with armrests and headrests, sound system, TV, and DVD. Although we have a seat in the capital of Silesia, our offer is not only Katowice. 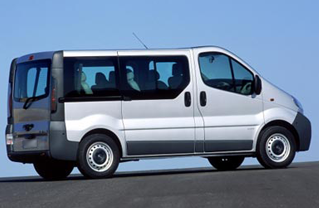 We are able to provide transport from 1 to 62 people anywhere in the country and beyond. We carry out one-off and regular orders. We are at your disposal 24 hours a day, seven days a week. We work on weekdays and holidays. There is no order for us to do. We adapt to every suggestion of our client. Everywhere and always are on time. We organize trips to the most interesting tourist destinations. We work with experienced and foreign language guides. 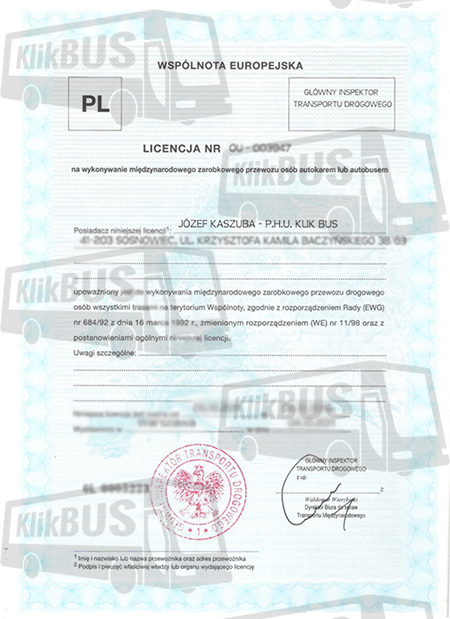 Klikbus is not just a transport of people. We also supply goods – in Poland and Europe. We work passionately but with full responsibility. You can trust us completely. We set high standards and try to certify our quality of work every day. 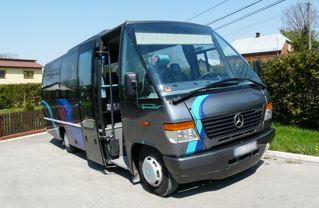 We rental buses and passenger transport very seriously. We also provide a professional external assessment. 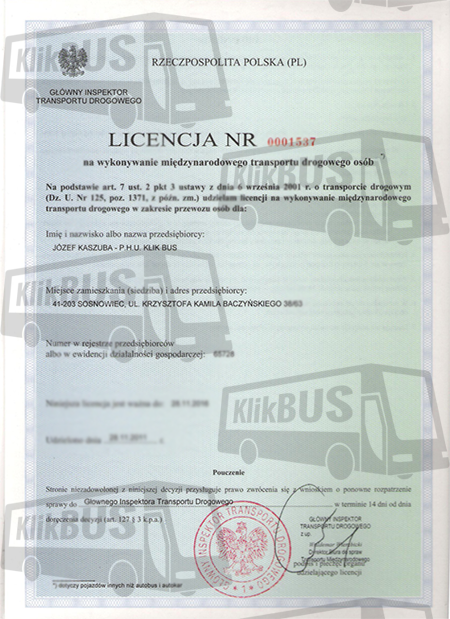 We have widely recognized licenses allowing for professional road haulage and coaches hire. We certify in this way our serious and honest approach to running a business.